An early driver education programme is continuing with its campaign to get driving on the school curriculum. A competition has been launched to offer four secondary schools the chance to win a Young Driver at School event for up to 60 children, to show the impact early tuition can have on youngsters. 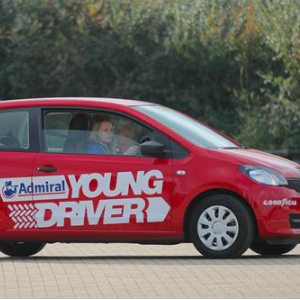 Young Driver is Britain’s largest provider of under-17 driving tuition, having delivered 275,000 lessons from its 41 nationwide training centres and run events at over 130 schools. It can offer tuition to anyone over the age of 10. The scheme is currently heading up a campaign to have driving added to the school curriculum, in a bid to cut down the high accident rate for young drivers. One in five new drivers in the UK has an accident within six months of passing their test and road traffic accidents account for 25 per cent of the deaths of 15-19 year olds in the UK, compared to just 0.5 per cent of the overall adult population. Every year 400 people are killed in accidents involving young drivers. A petition has been launched to ask the government to add driving and road safety to the curriculum, which has already gained backing from the Institute of Advanced Motorists (IAM), the RAC, the Driving Instructors Association (DIA), the Association of British Insurers (ABI), the Motor Schools Association of Great Britain (MSA), Admiral, Goodyear and Quentin Willson, motoring presenter and expert. The Young Driver at School competition is open to any private or state secondary school/academy based in Great Britain and includes either 30 half an hour or 60 fifteen minute lessons, and a road safety classroom session from a qualified Advanced Driving Instructor. Driving lessons can usually take place within the grounds of a school, in a dual control car with one of Young Driver’s specially trained instructors. Kim Stanton, who heads up the Young Driver scheme, said: “Something needs to be done to tackle the shockingly high rate of accidents young drivers have – far too many precious lives are lost, and barely a week goes by without another tragic story. Pilot studies in Europe have shown a 40 per cent reduction among novice driver groups who trained at school, and our own research similarly shows that Young Driver past pupils are half as likely to have an accident when they do pass their test. That is why we feel so strongly that this should be added to the school curriculum – our petition does not suggest lowering the age at which people can take to the roads, but instead proposes youngsters should start to be taught about driving at school. The younger you can get to teens the better, as they’re far more receptive to safety messages when the pressure isn’t on to pass their test and get driving independently as soon as they can.